Growing up in Soviet Armenia, one of the highlights of director Inna Sahakyan’s childhood was watching tightrope dancing performances that would take place in her grandparents’ village. She vividly remembers the vibrant colors of the costumes, the agile movements of the dancers and the festive music enlivening the crowds. “These spectacles were filled with constant movement and dazzling colors. Musicians played traditional instruments, clowns mingled with the spectators providing doses of comedy to ease up the tension and suspense, and the tightrope dancers—suspended in mid-air—performed their incredible feats,” said Sahakyan. 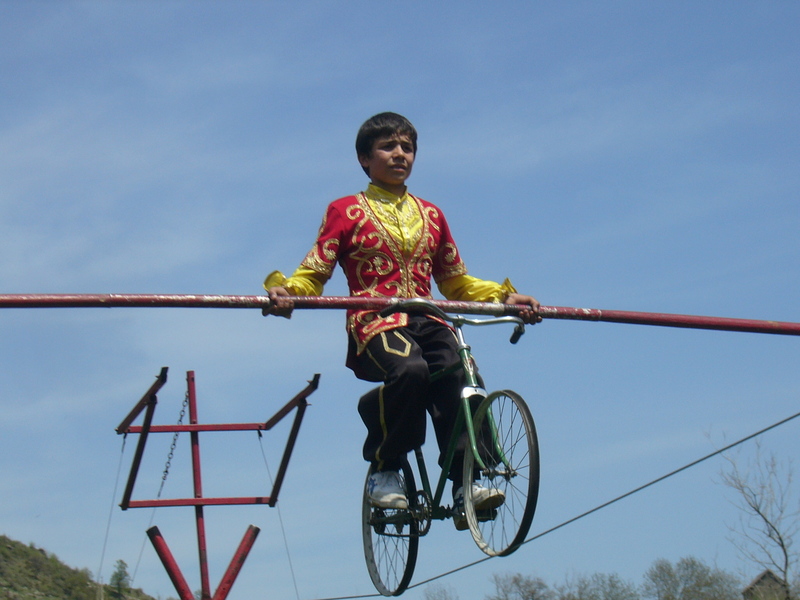 While tightrope dancing was once a revered and respected art form in Armenia, it has struggled to maintain its existence in more recent years. Three decades ago, there were 20 families involved in tightrope dancing who would perform in the capital city of Yerevan and in villages along Armenia’s countryside. 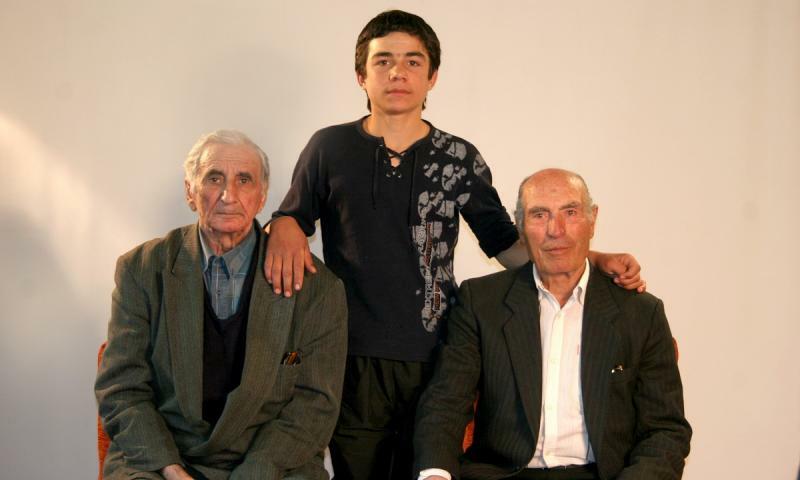 When Sahakyan began her research four years ago, there were only two individuals left. “After gaining our independence, we have lost not only the ideology behind the red flags and the parades, but the legends of the tightrope dancers as well,” she said. Realizing the quick demise of this unique art form, Sahakyan, 33, and Arman Yeritsyan, 35, both of BARS Media in Armenia, teamed up to direct what would become their most recent documentary, “The Last Tightrope Dancer in Armenia,” an international co-production with NHK, ITVS, YLE, SVT and TVP. The film has won numerous awards since its release, including top prizes at the Russia Documentary Film Festival and the Golden Apricot International Film Festival. It was shown as part of the Film Society of Lincoln Center and Dance Films Association’s “Dance on Camera” film festival last month at the Lincoln Center’s Walter Reade Theater (with the participation of the Eastern Diocese’s Zohrab Center). The hour-long documentary, which took two years to complete, profiles two celebrated masters of tightrope dancing—Zhora, 76, and Knyaz, 77—who are fighting to preserve this fading tradition. Once fierce competitors, they have teamed together to train the few young men left in Armenia who still have the potential to carry the genre forward. “After initial contact with the masters, I was touched by their persistence in finding and teaching potential students to walk the rope,” said Sahakyan. What also appealed to Sahakyan and Yeritsyan about Zhora and Knyaz was the jealousy and antagonism that defined their relationship. Competing against each other throughout their lives, each one boasts of his past performances while criticizing the other’s inability to walk the rope. 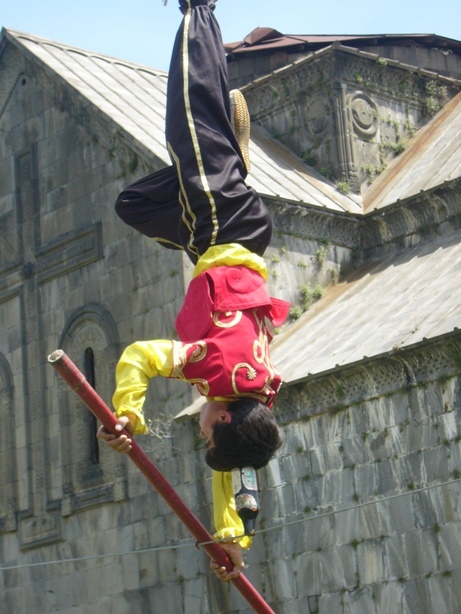 “Each one believes himself to be the only ‘true’ tightrope dancer, the only performer who is able to keep this ancient tradition alive,” said Sahakyan. 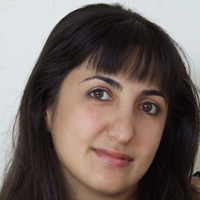 She adds that the film also gives the world a glimpse of Armenian society, including “the dilemmas the country faces after a decade of painful experiences and virtual collapse.” As Knyaz and Zhora struggle to make ends meet in the autumn of their lives, viewers see the painful realities of a country grappling with economic instability and social reforms. “The Last Tightrope Dancer in Armenia” was featured as part of PBS’s Global Voices—a series featuring notable U.S. and international documentaries. Please click here to view it online in Armenian with English subtitles. This is an amazing idea, I always watched the tightrope dancers that came to my neighberhood, it was fun times for kids, and charecters involved where always full of life and Armenian Autentic attributes. An of course the Armenian name is “Paylavan”-) hope it gets preserved!